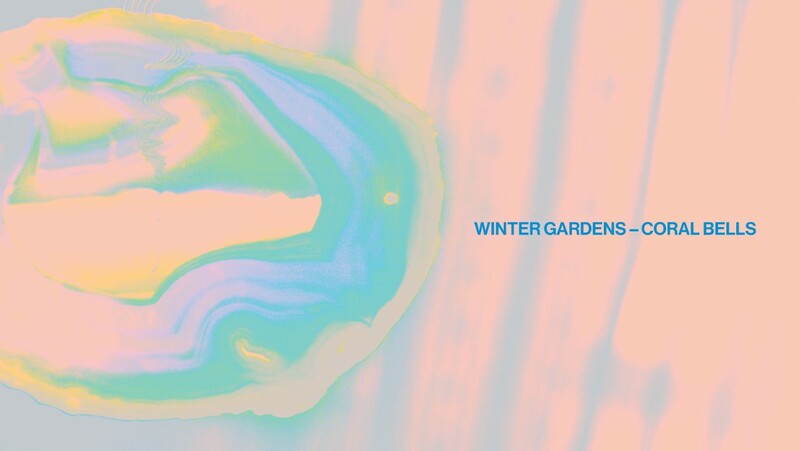 Brighton-based four-piece Winter Gardens are about to release their debut single Coral Bells. Only a few months into their existence, they've already gathered some impressive support slots as well as opening last weekend's Rockaway Festival. Their debut is a scintillating mix of their influences with their own personality stamped right through the middle of it, accompanied by an intriguing take on the performance video. They describe themselves as "taking influence from 80's post-punk, Factory, Postcard, 4AD, Creation era bands, we have developed our own 'dream punk' sound, all the ethereal haze of shoegaze and dreampop with the energy of punk - Cocteau Twins after a few sherbets." Winter Gardens are on Facebook and Instagram. A limited (100 copies) 7" single with a cover of Cocteau Twins' Pearly Dew-Drops Drops is available from their label Austerity Records' website.